I was going to show off the intro today, but I'm a bit behind on that. 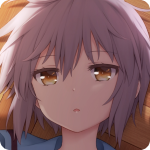 In the meantime here is the new and improved title screen! The title screen works really well, you made a zero-gravity effect pretty much perfectly. I doubt K-16 actually floats around on it though, that'd need ASM magic or something, or just really good ExAnimation. Usually inactive/procrastinating on a hack idea. I will like that too!! Read my posted story here!!. As I said in the screenshots thread in this forum, it looks great! I am actually not bothered if it "floats" or not (in terms of looks) but exanimating it would be great. Here are some screenshots from the intro. 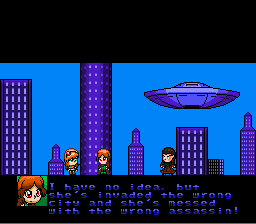 Moonlight City is under attack by a vampire named Scarlet, who is avenging the death of her brother, Crimson and is also one the the hack's main antagonists. 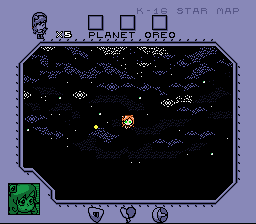 Scarlet injures Sicari here and takes off to space with her new alien friends, where she plans to crush the whole Galaxy into a giant black hole. 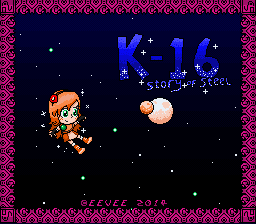 Sicari can't follow her into space, so it's up to K-16! This seems very promising, just like your previous stories in the Art forum. But I think it could be even better. First, I must say I'm not a too big fan of that font. Or rather, the shading on that font. It's a little irritating to read two-colored text; I think it would look much better if you make the two colors a bit more similar to each other. Same goes for the sparkles on the title screen; they're a little distracting. It works out better on the big letters, but I think toning it down a little would make that too look a bit better. The distance between the windows on the pointy houses is a bit uneven. I understand that you don't want to use more tiles than necessary, so how about leaving two pixels between all window rows, instead of just the middle? Finally, the shading on the UFO and the tallest house seem a little excessive to me. Especially the house; it looks almost like it's circular, while the others are square. I suspect some dithering would help on the UFO, but I'm not sure if there's any good solution for the house without using more tiles. I doubt removing the shading entirely would work very well. I wish you the best of luck on this project; your creative skills have always been impressive. Thanks for the advice, Alcaro, I've taken some of it aboard, however, the tallest building is actually supposed to be round. 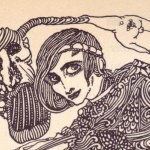 The top is cut off by the black border. 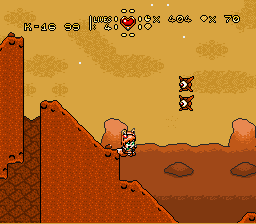 Anyway, I'd like to show you all what I've done to the overworld's display. The hack tells us this is actually seen through a device built into K-16's wrist, and I did my best to make it resemble a computer. I'm actually pretty pleased with how it turned out, but what does everyone else think? That looks suitably space-y, nice one. Maybe the galactic center should be yellowish but otherwise it looks good. Now join the spiral arms in a realistic fashion. It truly looks like a computer view. Maybe some more buttons can make it look better? Nice work. This truly describes the work you put on this hack. Maybe some more buttons can make it look better? Yes, this would look good on the OW Layer 3 too. I am quite pleased with how it has turned out too so I don't really have any comments for improvement. Good job Eevee! I'm going to finish off the main levels in world 1 and then release a demo for everyone. 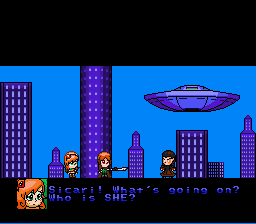 I've wasted a lot of time redrawing the graphics from Sicari, so next to no trace of them appears in the hack. I got carried away so much, I've even remade the fonts! I guess they do look nicer though. 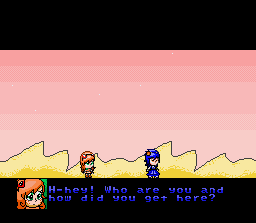 Anyway, 1-2, 1-4 and 1-5 need to be finished, but everything is in place, so expect a demo soon! Font changed? Personally, I think that's a good idea. Last font wasn't bad, but it wasn't the best either. After I finish my first demo playthrough, I'll go secret hunting. Looking forward to the first demo! I guess I understand why it took a lot of time. The amount of effort you have put into this hack is impressive Eevee! It's coming along well. 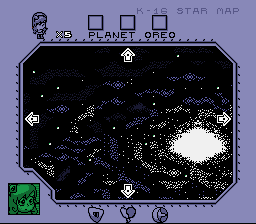 Only Gemini Station and the Uncharted Moon need to be completed before the demo. Everything's in place. Here are two new screenshots from Oreo, which has been improved aesthetically. I replaced the HDMA with clouds, and added layer 1 background tiles. I'm probably not going to be using HDMA in this hack so much. The levels that did use it (Oreo, Uncharted Moon, Arcteit) don't actually have it any more. And I'm showing this just because it's cute. Also, a snippet from another cutscene, taking place on the Uncharted Moon. 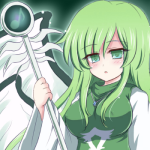 Here we meet Eclipse, a strange girl who worships the "Lunar God" oh, but you'll find out more about Eclipse later. 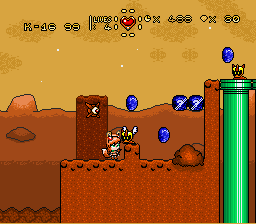 I love absolutely everything about this hack but I really wish that the player sprite's eyes were on the same level. It looks really silly! Judging from the screens you posted, everything seems pretty well done and really appealing. The only thing that I'd fix is the palette of that space OW: personally, I'd make it a bit darker and, maybe, less pixelated, adding darker colors next to the brighter ones. But I already know about her... but still... yay!! I want the demo NOW!!! !